Meet Personal Injury Attorney Laura Cameron, ESQ. Meet Managing Personal Injury and Disability Attorney Laura Cameron, ESQ. With two decades of fighting for her client’s rights, Attorney Laura Cameron, works hard in getting them the money they need after a personal injury claim. Her dedication to her clients’ well-being is what makes Laura an excellent lawyer and why she is so highly referred by her many clients. Attorney Cameron oversees our Warwick, Coventry, Cranston, Johnston, South Kingstown, and Providence offices. Western New England School of Law in 1996. I was involved in a 3 car accident. I went to d’Oliveira & Associates in Warwick. I am very grateful that I did. My lawyer, Laura Cameron and paralegal were excellent. I was made to feel that my health and well-being was just as important as getting a fair compensation. All the office staff were friendly and helpful. I would recommend them to anyone who is looking for a thorough and caring law firm. I want to thank Laura Cameron and Lisa Rose for all the hard work they did on my accident case. This is the 2nd time I have used this dynamic duo in Warwick and who knows maybe if there is ever a 3rd time I will check them out in South Kingstown. My best to you both. Lisa Rose is dedicated to providing excellent customer service and assisting clients. She has extensive experience handling Rhode Island, Connecticut and Massachusetts personal injury claims. As an assistant to Attorney Laura Cameron, she works hard to provide excellent customer service with consistent communication with clients and their personal injury claims. In college I interned for the CT Public Defender’s Office. 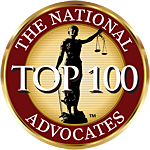 After law school I handled criminal defense cases through the Massachusetts Bar Advocate Program. From there I went to work for d’Oliveira & Associates handling personal injury and social security disability claims. My initial experience as a criminal defense attorney taught me how to advocate for my clients in and out of court. When I first started working for d’Oliveira & Associates, I worked very closely with Paul d’Oliveira for many years. He taught me how to review medical records, which is essential for personal injury and social security disability cases. He taught me how to fight for what is best for my clients. Every day is different, I spend a lot of time meeting with clients and talking to medical providers, insurance companies and defense attorneys. I prepare for and attend arbitrations, mediations, depositions and Superior Court and Social Security Administration hearings. I also spend a huge amount of time reviewing files and coordinating with my staff on different cases. Further, I make sure I return every client’s phone calls as soon as possible as it is important that my client’s have all their questions answered and that we have a good relationship. I love helping my clients. That usually means getting them excellent settlement money at the end of a case, or getting a client approved for social security disability benefits, but we strive to assist our clients with all problems that arise during the process. Many insurance companies unfairly take advantage of injured parties. Although the vast majority of my cases settle out of court, sometimes when we don’t get a good offer to settle the case, we have to file a lawsuit. Unfortunately, the average case takes approximately 3 years to get to trial and it is not fair to these people, who deserve swifter justice. How Can d’Oliveira & Associates Help Today? We are prepared to fight for you, whatever it takes. Our attorneys are diligent advocates with the knowledge and understanding of how to successfully handle and resolve personal injury and social security disability claims. Our client was struck by a negligent driver that turned left and struck the front end of her car. As a result of the accident, she suffered broken bones and knee damage, requiring surgery. The motorcyclist was struck by a driver that turned in front of his motorcycle, causing him to strike the side of the vehicle and sustain several broken bones, which required surgery to repair. The client was riding his motorcycle in Rhode Island, when he was struck by another vehicle that turned into his lane. The injured motorcyclist broke his arm and pelvis and sustained other less serious injuries. A man who was injured due to a slip and fall on a sheet of ice at his apartment complex causing him to suffer a serious ankle injury.